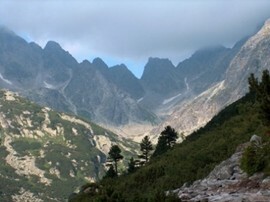 Self-guided walking with luggage transport in southern Poland. 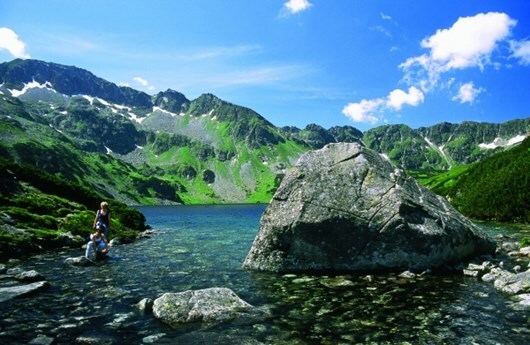 Embark on this amazing 7 day walking holiday to Krakow and the Carpathian Mountains. 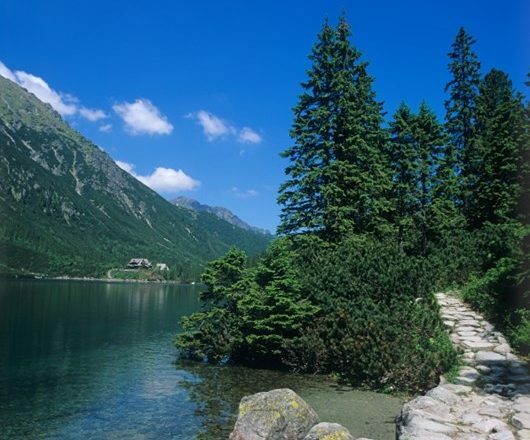 This walking holiday in Poland has so much to offer, from walking in the Krakow to exploring the Carpathian Mountains. 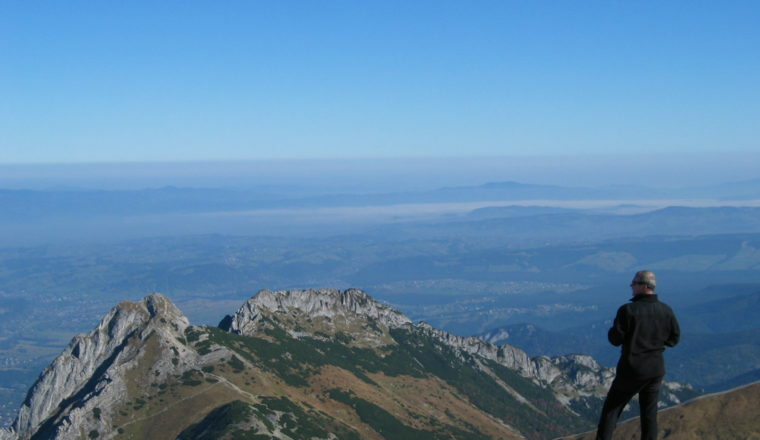 This walking holiday to Krakow and the Carpathian mountains is an unforgettable experience. 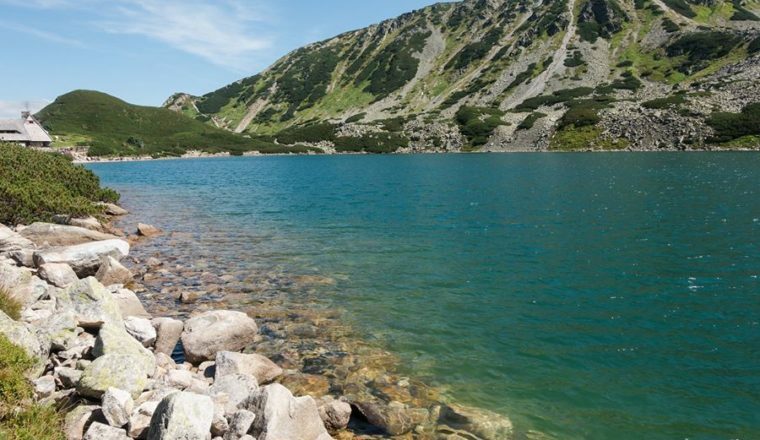 Starting your journey in the beautiful city of Krakow, this holiday takes you through the Tatra Mountains, through superb scenery and alpine trails. 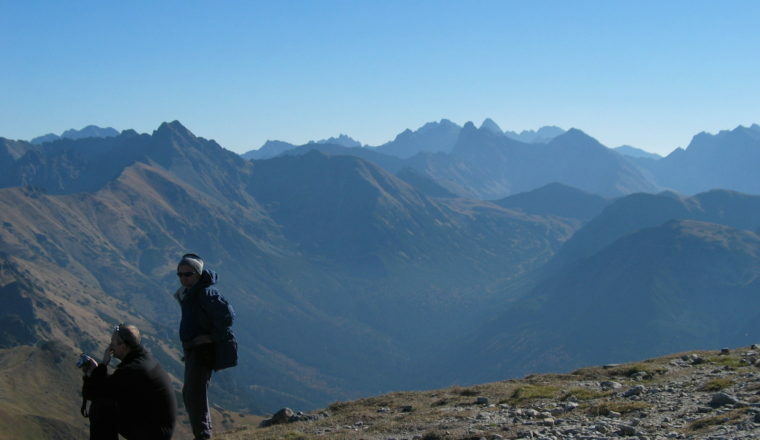 From Krakow you are transferred to the resort of Zakopane where you are based for 3 nights and explore the valleys, meadows and mountains such as Kopa Kondracka and the Gasienicowa Meadows with several options available. From here you stay in Niedzica and explore the surrounding area on the Polish-Slovakian border, with its charming villages. 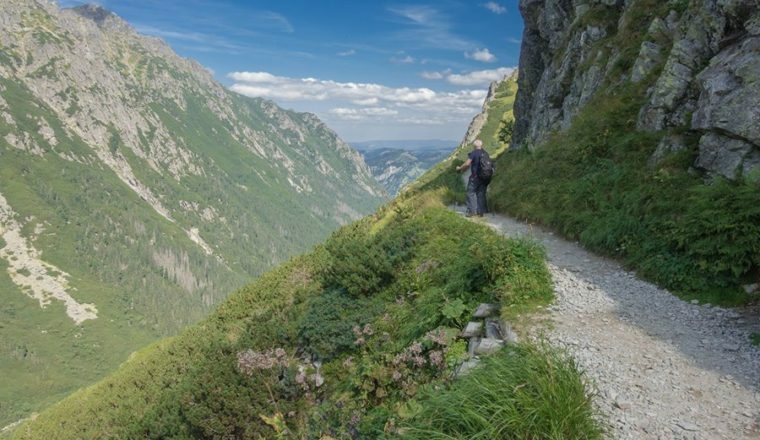 Onwards to the Pieniny National Park with its beautiful limestone gorges and an overnight in the spa town of Szczawnica before the final days walk along the Pieniny ridge and spectacular views across the surrounding mountains. 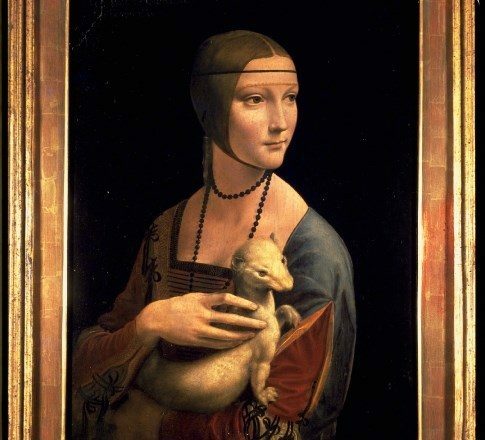 You then return to Krakow where your holiday finishes. £660 per person based on 2 people sharing in standard hotels. 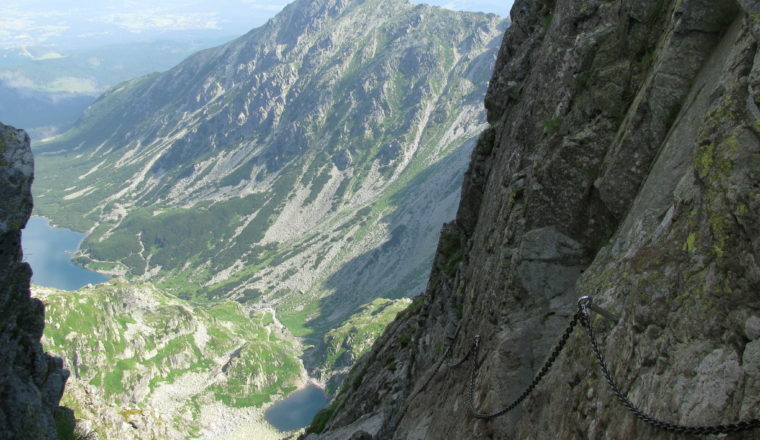 You will encounter the highest ascents in the Tatra Mountains on day 3 where the altitude difference may reach 900 metres. There are several other optional routes suggested with smaller altitude differences and shorter distances. Daily walking length is 4 – 6 hours. The routes avoid steep and slippery parts of the national parks and are well marked. Walking in winter is a popular activity in Poland, therefore they are frequently used and easy to follow in winter conditions even after fresh snowfall. on request a local English-speaking mountain guide can be hired, who will lead you start to finish on 1 or more days. Please ask for details. 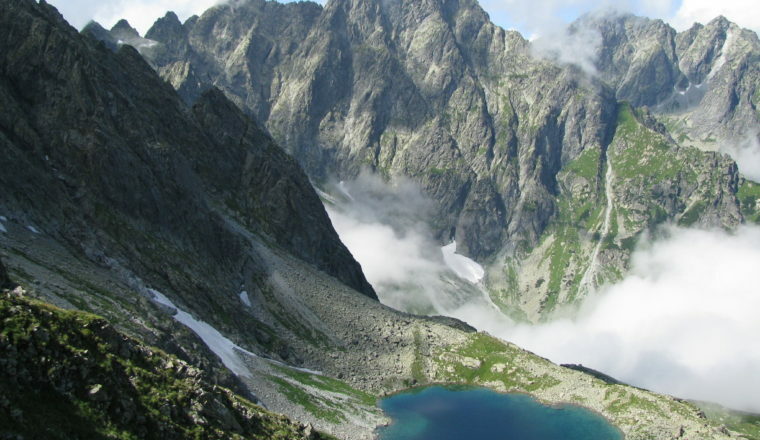 Today’s walk follows a trail along the picturesque Homole Gorge and reaches Wysokie Skalki Peak (1500m). 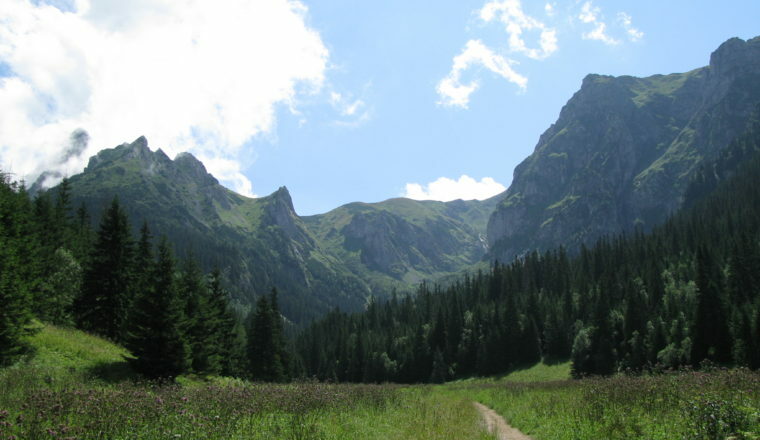 The trail follows the main Pieniny ride with views of all the surrounding mountain groups – walk approximately 3 – 4 hours – only one option today. Overnight Szczawnica. 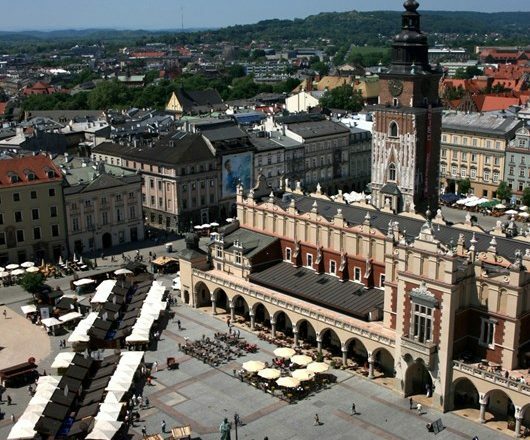 After breakfast, transfer back to Krakow (2.5 hours journey) where you can spend the rest of the day sightseeing. Overnight in Krakow. We book these hotels or hotels of a similar standard if our usual hotels are not available. This holiday is available from May to the end of October. 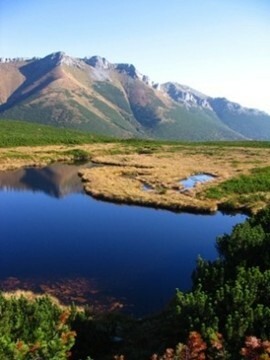 A private guided walking holiday in the High Tatra National Park. For experienced walkers.